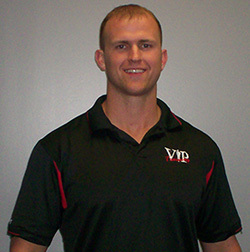 Dr. Michael Sartorius is the co-founder of VIP Fitness. He has helped transform many people's lives physically and mentally by dedicating himself to help people "UNLOCK" their UNTAPPED POTENTIAL and become the best they can be. Like many of us, Dr. Michael Sartorius does not enjoy being injured, or, side-lined from being physically fit-active. As a Doctor of Physical Therapy, Dr. Michael Sartorius implements his in-depth understanding of how the body moves for "Performance" and "Injury Prevention" training into his staff - so they are better prepared to help the diverse customer base to exercise longer and harder without injuries, or, if they have injuries, the team is prepared to help them work around them. One of the most common reasons people stop exercising, or, end their commitment to a weight-loss plan, or, an athlete stops training is because of an injury. Therefore, Dr. Michael Sartorius has made it his personal goal to dedicate himself to educate and show how people can stay fit, or, lose weight, even with injuries with some simple modifications. Dr. Michael Sartorius has also been a "Head Trainer" and consultant on the weight-loss documentary, "I USED TO BE FAT" that aired 3 episodes on MTV. DR. Michael Sartorius appeared on Season #1 on Episode #4. Above all, Dr. Michael Sartorius is a father of 4, and a husband; and enjoys every bit of downtime spending it with his 3 daughters, golden retriever (son), and beautiful wife. 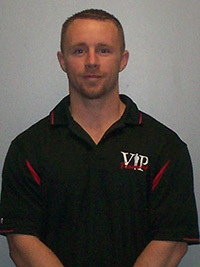 Jerry Lockwood has been a coach and trainer for 17 years. He first gained a love of working out when he was battling an un-curable digestive disease. His experience of making complete recovery and going into remission led to an interest in nutrition science. As a nutrition coach, Jerry has authored the book "Grocery Shopping For Health & Weightloss" which has been used in a high school curriculum and in a hospital setting for part of their training course.